Valentine’s Day really does just make me smile! It’s the first bit of brightness and celebration after an often long and dreary January—what a breath of fresh air! This day is celebrated in many ways other than romance. Some families have delightful Valentine’s traditions, and now, “Galantine” celebrations seem to be the thing to do! Which honestly, makes so much sense, doesn’t it? Chocolate, flowers, lots of red and pink, and all your best girlfriends­­—how perfect! Friends are truly a gift, and we should never give up on setting time aside to enjoy each other’s company. Talking, laughing, and eating with your best girlfriends is just good for the heart! In the latest issue of TeaTime magazine, there is a feature on the most elegant and festive “Galantine’s Tea” you have ever seen. One look at the gorgeous colors and wonderful treats, and I just knew I wanted to share this with you! I absolutely love the subtle addition of blue into this tablescape. In no way does it take away from the obvious Valentine’s theme, but it simply adds a little more elevation to this gorgeous spread! And each dainty treat looks incredibly delicious. 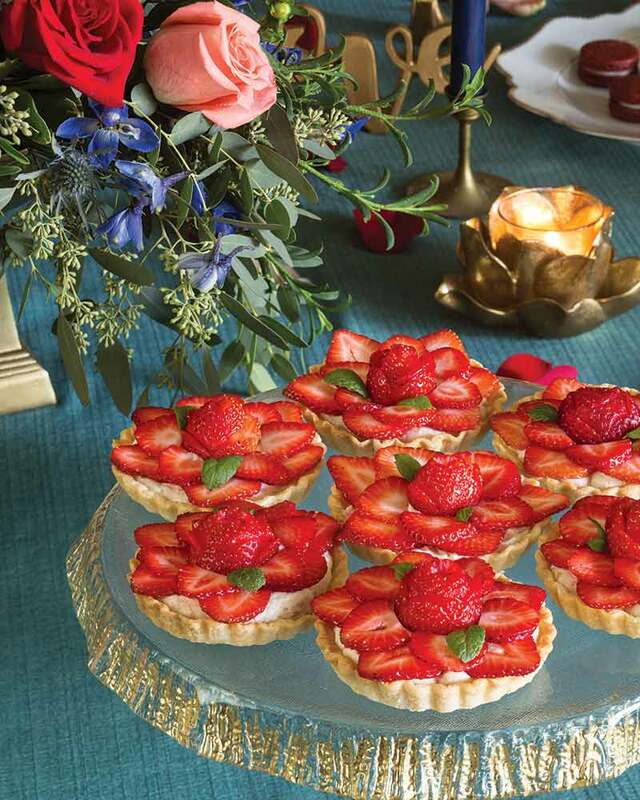 Oh, and the Strawberry & Champagne Mousse Tartlets are just the beginning! 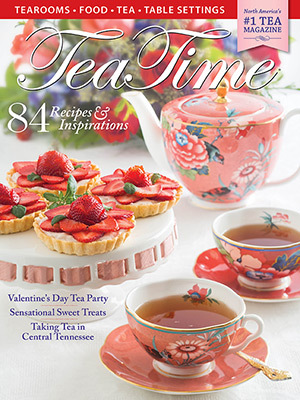 All seven of the recipes featured are just the thing for a Galantine’s tea, or any Valentine’s celebration for that matter! All recipes are found in the January/February 2019 issue, available by clicking below! Have you ever hosted/attended a Galantine celebration? I remember so well many years ago, a Valentine Tea Party I put on for about 10 of my closest girlfriends. The table was set so beautifully with red and pink china ,pink tiered glass serving dishes,a red teapot,clear glass serving pieces with red dollies on them. A few food items were a chocolate cake with strawberry filling and strawberries decorating the top, raspberry scones with Devon cream, pop overs with strawberry ice cream inside, as well as different tea sandwiches. I used my mother’s two tiered plate to put the sandwiches on,and the beautiful cut glass vase my mother-in-law had on the head table at her wedding. It contained 3 dozen carnations– red, pink and white. My best friend who spoke at Women’s Retreats; made a little 3X 4 booklet of bible verses on love for each guest. She also gave a devotional about girlfriends. As a parting gift I have each friend a white candle with a small red heart on it wrapped in a white cloth napkin tied with a red bow. We all had so much fun. It seemed to bond us a little closer. I cherish those memories now as I am alone on Valentine’s Day. I am truly blessed with wonderful “gal” friends. I would love to be sitting at the beautifully set table pictured above with old dear friends, and new ribbon friends. I just know we would have a wonderful time of talking, caring and sharing together. Gorgeous table and settings. I have always believed that you should show love to people that matter to you. Even when I was in college I loved to send the fun kiddie valentines to many friends and it brought smiles to those who received them , even big football type of guys. 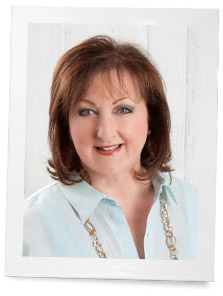 Thanks for sharing all your beautiful ideas in your blog. We have been shut away most of the week here in Wisconsin because of severe weather so this is a bright spot! Thanks ! Somehow I missed getting the Valentine’s Issue! 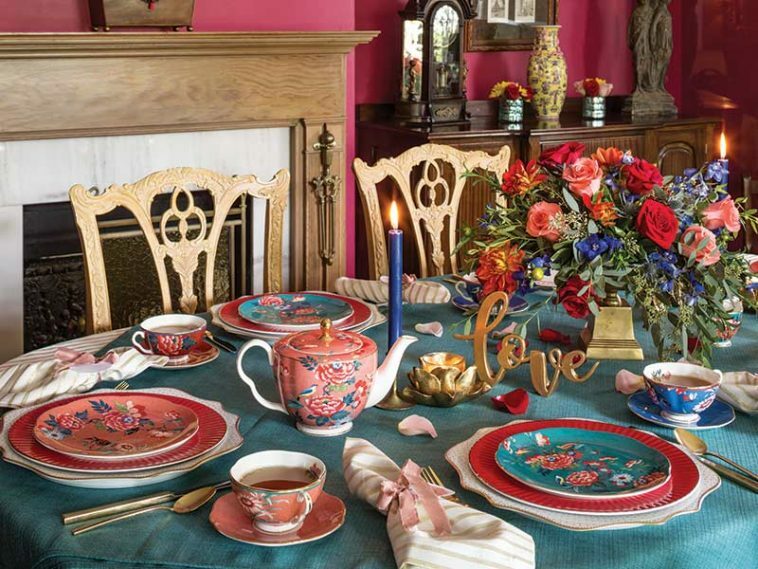 But I will hunt it down, if only to see lovely tablescapes like this. I love a Valentine’s Tea, and am actually setting up my tablescape today for a future blog post. This one is lovely, the colors are stunning. And those tarts sound absolutely delicious! Tea Time is such a treasure trove of table settings and treats. What gorgeous colors and so pretty! 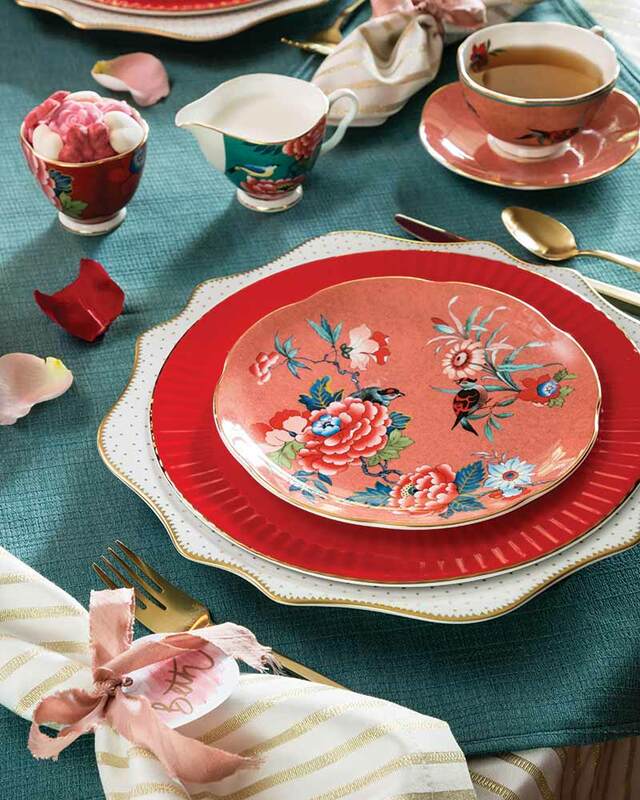 I may not have a party, but on Valentine’s Day I’m going to make a little spread for myself, with red-and-white china and treats. I always love getting the Valentine Tea Time issues!